To receive weekly messages free by email, click here to subscribe. It is important for us to give attention to what the Lord is saying in this verse of Scripture. First of all, He is saying that He wants us to become His disciples. Just accepting Him as Savior without becoming His disciples is not enough. So the first thing we must do is to determine whether we really want to be disciples of the Lord Jesus Christ. Many do not; but for those who do, this verse is for them. We are interested in the mysteries spoken of in the Word of God. They are the truths and Kingdom concepts hidden in the Scriptures. The Greek word for "mystery" is mysterion; it means "a thing hidden, a religious secret, or that which is not obvious to the understanding." It occurs 22 times in the King James Bible. We will not look at every passage of Scripture where it is found, but we will examine enough to sharpen our desires for the Word of God. God's Word is not laid bare for just anyone. His Word is for those who are hungering after Him, and it is the hunger for Him that will begin uncovering the veil over the Word of God. We will begin with a portion of Scripture in John chapter seven. Here we will see Jesus at the Feast of Tabernacles in the midst of a multitude, yet hidden. As such, He is an example of a mystery. Isaiah is the prophet pf the Lord's salvation. 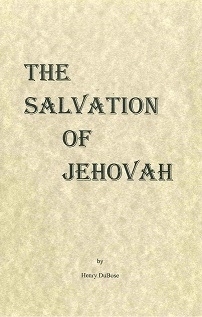 His name is Yeshayahu, signifying "the salvation of Jehovah." A careful reading of his writings testify that Isaiah was aware of the significance of his name. In fact, he lived and functioned in the salvation that he was commissioned to minister, and that is why his prophetic ministry still lives today. God is still moving through the ministry of Isaiah.